The second in our series of the best RPGs available right now, we look at what Microsoft's console has to offer to the RPG playing masses and pick the best five. It's time for a good old fashioned list-off! PS3 vs 360 - when you list all the RPGs, which has the most? We take a look at what RPGs remain for the last few months of 2008 on the Xbox 360. Will they be worth your hard-earned cash? 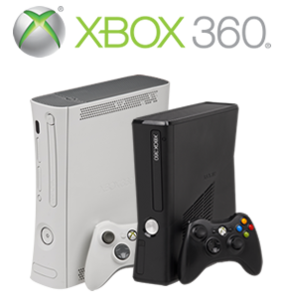 After yesterday's look at the Nintendo Wii's 2007 RPGs, I think it's about time we took a look at Microsoft's Media-Center Powerhouse, the Xbox 360. The Xbox 360 takes over the UK's biggest videogame store, painting it green and filling it with 360s for the public to play. One RPGSite Reader felt so strongly about Katie's Xbox 360 article, he submitted his own response article. We decided to publish it. The Xbox 360: A Boy's Console? AKA Why this girl isn't buying a 360. Alex lays down his reasons about why his Xbox 360 will be his first console this generation. The upcoming RPGs from Microsoft's newest platform. So, you're buying a next-gen console. Maybe you're buying two, perhaps all three. You've got the cash, you want to spend it and you love games. But which console should you be picking up first? Which second? Which last? We investigate. Microsoft's second foray into the world of console gaming brings us the Xbox 360, an ambitious console focused heavily on online connectivity and features.